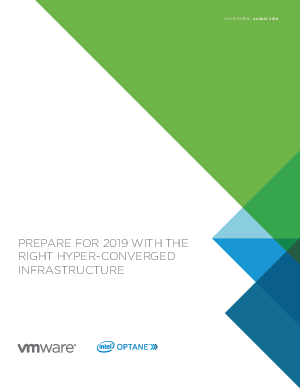 With the rapid rise of hyperconverged infrastructure (HCI), many different solutions have emerged with varying levels of features and innovation. As an IT decision-maker, you have to evaluate what HCI solution makes sense for your organisation. In this whitepaper, we make that process easier by outlining the three vital requirements you must have now in order to maximise the value of your HCI. With a little help, your next HCI investment will increase agility, reduce complexity and support your next generation IT environment. Please enter your details to access the whitepaper.